REC Criminal Justice teacher Amy Gillett and Questar III Director of CTE Dr. Danielle Bouton-Wales accept the “Excellence in Action” award in Washington, D.C. on April 9. 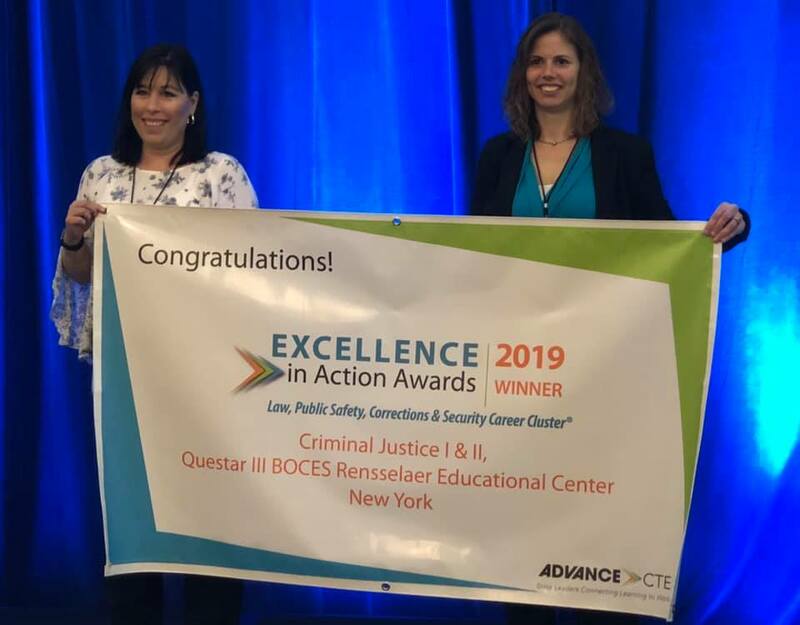 Questar III’s Criminal Justice program at Rensselaer Educational Center (REC) in Troy received the prestigious Excellence in Action award from Advance CTE. This award recognizes the best Career & Technical Education (CTE) programs of study across the nation. Criminal Justice was one of just eight programs selected as an Excellence in Action award winner based on its track record of providing clear pathways into college and careers, rigorous academic and technical coursework, strong partnerships with education and industry leaders, and meaningful work-based learning experiences that offer opportunities for career exploration and subject-matter mastery. 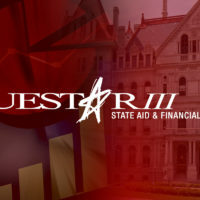 Advance CTE awarded the honor to the Criminal Justice program in the Law, Public Safety, Corrections and Security Career Cluster ® as a result of Questar III’s commitment to prepare high school juniors and seniors for post-secondary studies and careers in law enforcement and the criminal justice system. “The programs of study that we are honoring today all share a steadfast commitment to the highest expectations for CTE. This dedication to quality and equity ensures each learner has access to opportunities that prepare them for future success in their education and career of their choice. Today’s honorees serve as national models of what high-quality CTE looks like and can achieve,” said Kimberly Green, Executive Director of Advance CTE. Through two years in the program, students can earn 12 college credits through articulation agreements with Bryant and Stratton College, Columbia-Greene Community College and Schenectady County Community College. Last year, all Criminal Justice students at REC graduated high school, earned at least one industry-recognized credential, completed post-secondary credit and participated in work-based learning. Questar III Director of CTE Dr. Danielle Bouton-Wales and REC Criminal Justice teacher Amy Gillett accepted the award at an award ceremony as part of the Advance CTE Spring Meeting in Washington, D.C.
“Amy has worked tirelessly with industry and post-secondary partners to offer high-quality experiences that prepare students for different careers in the Criminal Justice field. 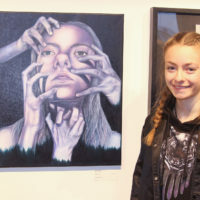 Students leave with a strong knowledge base and many industry credentials that help prepare them for both the workforce and college,” said Bouton-Wales.